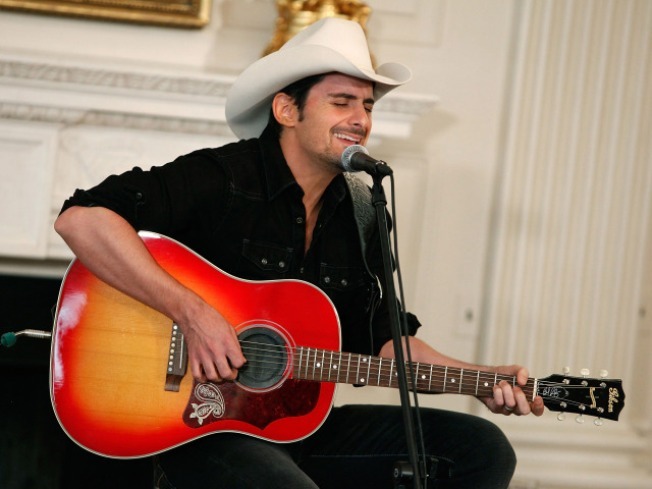 Country music superstar Brad Paisley performed at the White House along with other chart-toppers from the music world. The commander in chief, the First Family and other D.C. bigwigs were treated to a night of down-home cowboy entertainment in July that will air on national television Saturday evening, featuring some of the country music industry's biggest sellers -- and the spurs-jingling Obama himself. Country superstar Brad Paisley joined fellow chart-toppers Alison Krauss and Charley Pride onstage at the White House July 21 to perform for the Obamas, who sat front-and-center at the star-studded country music fest that will air Saturday at 9 p.m. on the Great American Country channel. The Grammy-winning Paisley said as he performed his hit "Welcome to the Future" that he celebrated Obama's Election Day in New York's Times Square -- and that it was an "unbelievable" experience. "Very few things have moved me the way I was moved on November 4th," Paisley said to the Obamas and the members of Congress in the audience. "I stood there and watched the world turn on a time," Paisley said, according to People magazine. "I'm a two-time father...I thought about [my children]...you are the first president they will remember, which is something." Before he performed, Paisley, 36, quipped to Obama that the then president-elect probably didn't have time to stop by Manhattan on his big day. 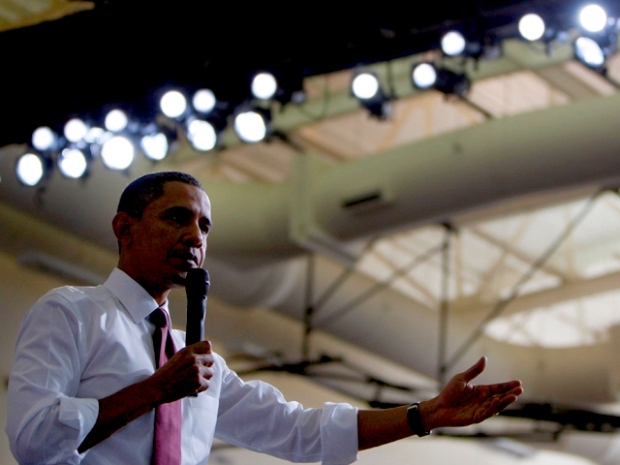 "I'm sure you were busy," he joked as the president laughed. The show is the second event in a series created by First Lady Michelle Obama, intended to promote arts education for children.